Folly Farm Zoo is not only for children. Adult friends and I have had some very enjoyable days exploring around Folly Farm Zoo. So much information to read about the animals that you see. What used to be a humble dairy farm has now become one of the most exciting places to visit in Wales. 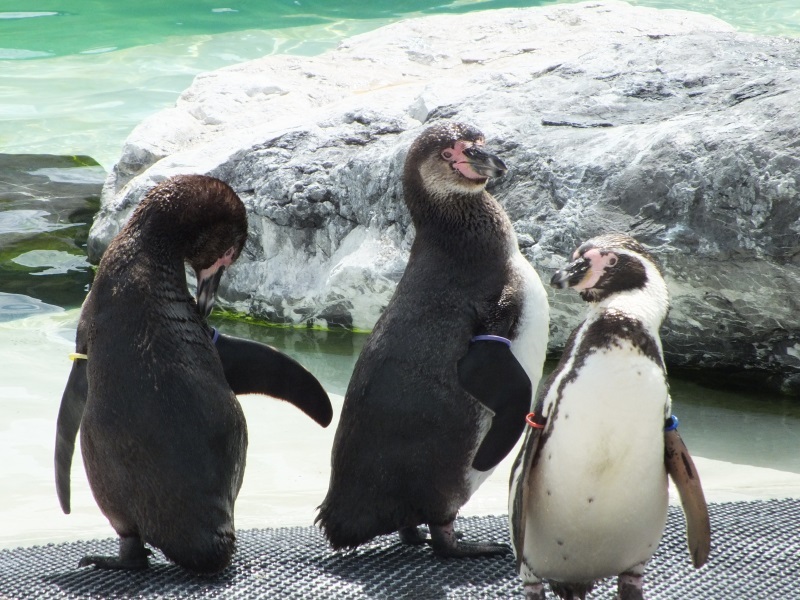 Recently I was able to help feed the penguins – so brilliant to be so close to the penguins. Caroline and Catrin, the main penguin keepers are so knowledgeable, helpful and you can see that they love their penguins. The penguin chicks will also become accustomed to the water in a custom-built splash pool, as their waterproof feathers grow and they gain confidence in swimming. Flamingos, giraffes and many other animals and birds to see. Perfect present for those who want to have a taste of becoming a zoo keeper. There is also a vintage funfair and lots more to see. Brilliant day out.